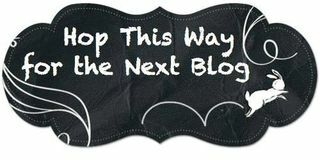 Welcome to the October Creative Inking Blog Hop! Our theme this month is "Thankfulness". There are so many things in our lives to be thankful for. All we have to do is look around to see our many blessings. Our family, our friends, our home (be it ever so humble), and food on the table are just a few to mention. And speaking of the fact that I love food, I also love to set a beautiful table. For this Blog Hop of Thankfulness, I created a card and a few table decorations using the Vintage Leaves stamp set and the Petals & Posies Specialty Designer Series Paper. There's nothing like a decorated, chilled bottle of Wine (or Sparkling Grape Juice) on the table. 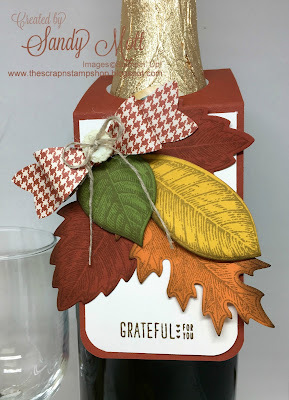 This bottle tag is so easy to make! Just take a 6" by 2 1/2" piece of cardstock (I used Cajun Craze). At one end, score at 2 1/4" inches and punch a hole using the 1 3/4" circle punch or size according to the bottle. Then cut a piece of Very Vanilla cardstock 2 1/4" x 3 1/2". Round the corners on both pieces and attach. Stamp "Grateful for You" (from the "Acorny Thank You" stamp set) on the bottom portion of the tag. The leaves are stamped with Crumb Cake ink onto Cajun Craze, Crushed Curry, Pumpkin Pie, and Old Olive cardstock and cut out with the Leaflets Framelits. I inked the leaf edges with Soft Suede ink. 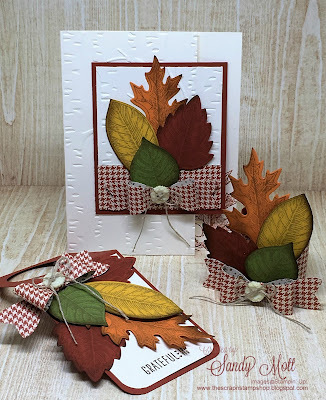 The bow is made from the Bow Builder Punch using the Petals & Posies Specialty Designer Series Paper. 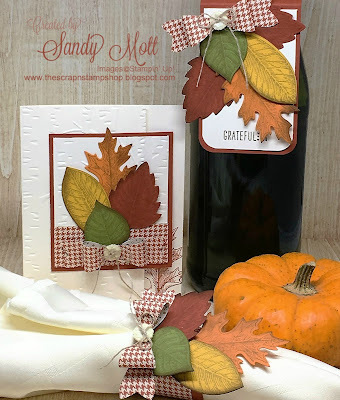 Unfortunately, I did not have 3 matching Stampin' Up! buttons and had to use retired ones (shame on me), but any Very Vanilla small button will work. The button is tied with Linen Thread. The napkin ring is just as easy! Cut a piece of Cajun Craze cardstock 5 1/2" x 1 5/8". Cut a piece of the Designer Series Paper 5 1/2" x 1 1/8" and attached to the Cajun Craze piece. Use your bone folder to curve the napkin ring and you'll find it so much easier to attach the ends. Punch another bow and stamp/ink more leaves and you're done. This card is a little different from my standard card. The jury is still out as to whether or not I like this shape/fold, but here's how to make it. Cut a 7 1/2" x 5 1/2" piece of Very Vanilla cardstock. Score it at 3 1/4". 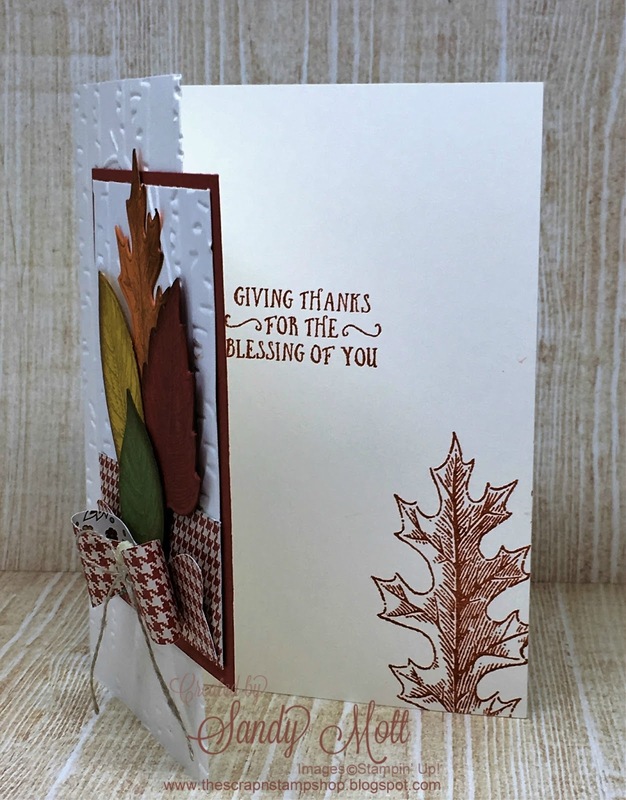 I ran the front side of the card (the 3 1/4" side) through the Big Shot using the Woodland Textured Impressions Embossing Folder. Cut another piece of Very Vanilla 3" x 3 1/2" and emboss as above. Then cut another piece of Cajun Craze 3 1/4" x 3 3/4" and mount it to the card with the edge of the Cajun Craze piece about 3/8" from the right card edge . 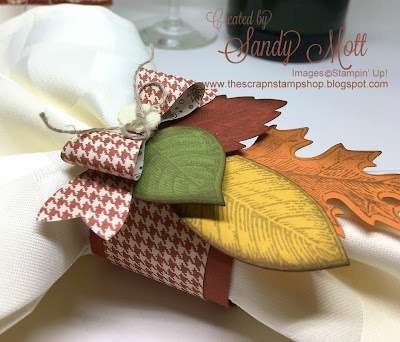 Decorate the same as the bottle tag and napkin ring. The inside sentiment is from the "Basket of Wishes" stamp set. I stamped a large leaf with Cajun Craze leaf to the bottom right corner. Here's the project (sans the Wine and napkin). I also need to say how grateful and thankful I am for my stamping friends. You continually support me and most always enjoy my posts. You make me happy and I thank you from the bottom of my heart! I hope you enjoyed this post and will give these table decorations a try. I would love to hear from you! Now let's go see what awesome creation Lori has made. I'm a big fan of hers! 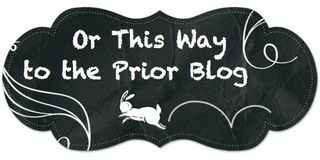 Click on the next hop button to get to her blog. Thank you! 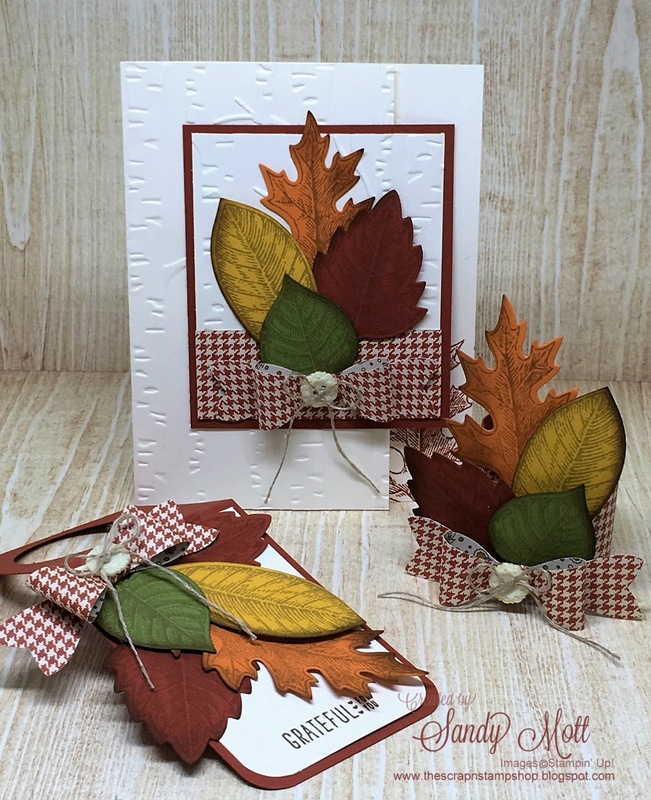 The Vintage leaves are so perfect for a Thanksgiving table! Oh Sandy! I just LOVE your table setting projects! Just gorgeous!! It's a beautiful set. I love the napkin rings! Thank you! So easy to put together! Well, you've done it again! Another set of OUTSTANDING projects! Love them all! Thank you Linda! I hope you have as much fun making them as I did! As usual, your projects are just beautiful! Wow Sandy this is the nicest Fall setting I've seen in many years. Beautifully crafted. I love the bottle tag and your napkin ring is so delightful. 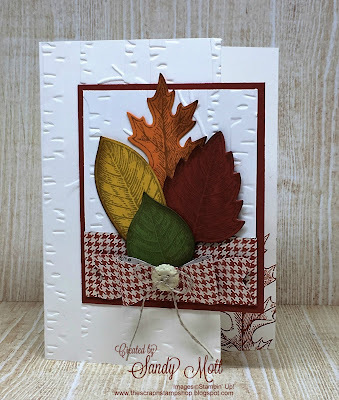 The Vintage leaves really are special. Thanks for sharing the steps. Thank you so much Penny! I knew if I didn't share how to make them, people wouldn't believe they're so easy to make.